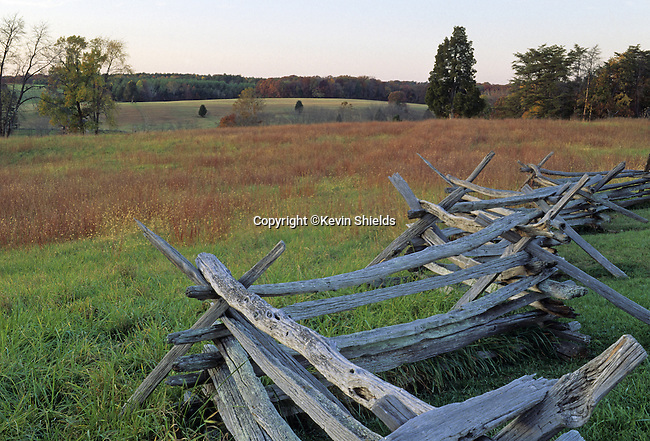 Rail fence on the battlefield at Manassas National Battlefield Park, Virginia, USA. Here the two armies engaged for the first time in the Civil War, costing nearly 900 lives. In August 1862 they fought here again, resulting in 3,300 soldiers killed.